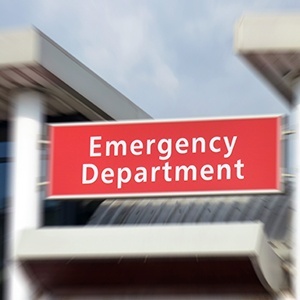 Emergency department (ED) overcrowding is a serious problem for hospitals across the United States, which is being addressed through the use of analytics. Hospitals that use analytics to improve ED patient throughput in each area – frontend, middle flow and backend - can track ED wait times, patient and room status, average length of stay (LOS), number of patients left without being seen, number of patient visits per clinical program, patient volumes over time and more. They can identify workflow bottlenecks, project staffing and resource needs and obtain patient satisfaction rates of wait times while providing the capability to access historic throughput, quality and clinician reporting. Another way patient flow is improved in a hospital ED through technology is the use of patient tracking systems. These systems provide real-time functionality for patient management and tracking, ensure that ED staff can quickly and easily locate patients anywhere in the hospital and sometimes even track equipment within the hospital. Patient tracking technologies enable ED staff to view a patient status through a variety of technologies, including mobile dashboards, and can alert them when a patient is close to a hospital exit. This reduces delays in responding to lost or injured patients and provides a streamlined ED workflow, thereby optimizing revenue capacity for the ED and enhanced management of the ED. Analytic tools such as Qlik Sense® provide the ability for people to have self-service access to operational data so they can create actionable reports and visualization. Implementing tools like Qlik Sense® properly will enable your business teams to do deep dives into data and see the whole story without the help of IT. Syntrix Consulting Group specializes in data reporting and business analytics for healthcare organizations. We offer healthcare analytics templates that allow users to see what matters and take action accordingly. Plus, we can work with you to utilize data management programs that are designed to ensure data integrity in healthcare business intelligence solutions. Contact us for a free consultation or to learn more.